Making Cards application provides best solution to produce striking and colorful identification cards for professional users like employee, students, faculty, security, staffs, visitors and office members in few mouse clicks. Software provides advanced features and functionalities to design stylish and attractive ID cards with support of predefined designing tools like pencil, arc, rectangle, images, text, line and other similar objects. Users are capable to add personal photographs and text messages in ID cards. 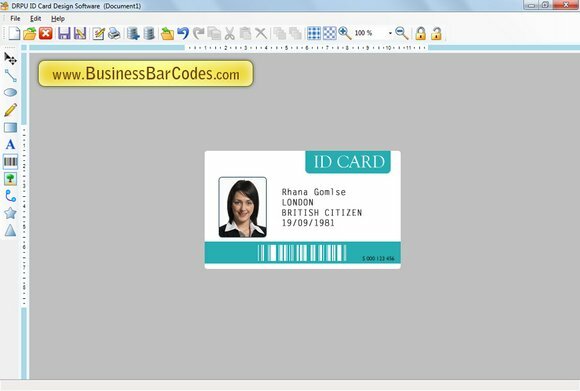 ID cards maker software is easy to operate and supports graphical user interfaces so that any category of user can quickly design own style ID cards without requiring any technical knowledge. Users can print multiple copies of identity cards in less time and affords using enhanced dataset series generating features like sequential, random and constant options. Software provides facility to generate high resolution and beautiful ID cards with attractive background, colors, styles and gradient. Company offers trial version of Making Cards software to evaluate features before buying original card maker application. Software provides facility to design specific ID cards like Quarter Fold, Half Fold and other types. Users can save generates identity cards in their PC on specified place as graphics format for future use and modifications. ID card maker tool offers facility to design new card with blank format or modify existing cards. Features: * Comprehensive card maker tool generates high quality and business specific ID cards in efficient and significant way. * Provides facility to create custom style and colorful identity cards using excellent font, color and image settings. * Supports wide range of designing tools like pencil, arc, star, line, ellipse and pictures to make preferred choice ID cards. * Perfect card designing utility facilitates to print bulk copies of ID cards including photo, logo, barcode, images and text.